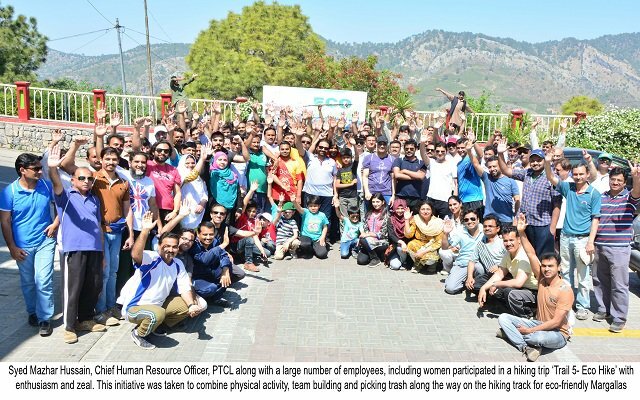 Pakistan Telecommunications Company Ltd. (PTCL) organized a day-long hiking trip ‘Trail 5- Eco Hike’ for its employees. This initiative was taken to combine physical activity, team building and picking trash along the way on the hiking track for eco-friendly Margallas. This activity was aimed at promoting PTCL’s One Family culture and its initiatives to take care of their health. PTCL organizes Trail 5 -Eco Hike in Islamabad.